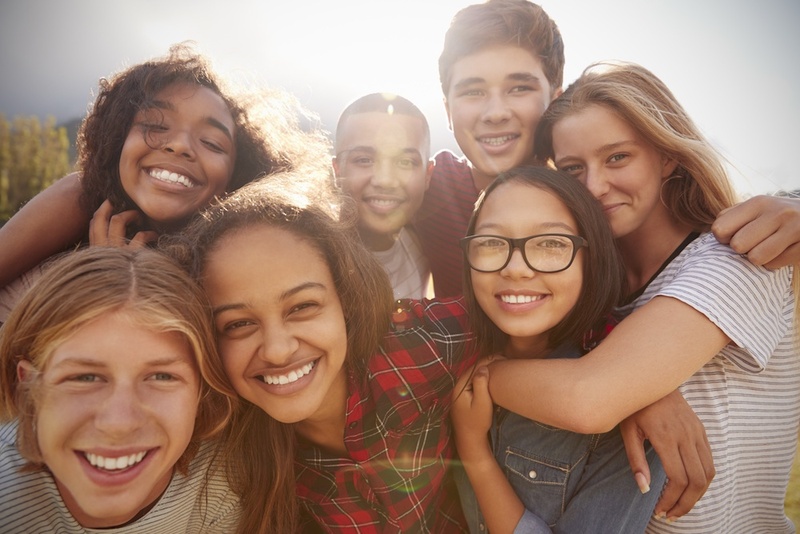 About 1 in 20 teens won't see any friends over the summer break, and a lack of social interaction can be detrimental to mental health. If your kids already have social anxiety or autism, being alone over the summer may also serve as a setback to any progress they've made learning how to make friends. Here are some ways to help your kids have fun this summer and avoid being lonely. For kids with trouble making friends, setting up times to hang out with no real plans for what to do together can bring about anxiety and may not wind up being very successful. Focus your attention on specific activities. Choose a few things your child loves to do and organize play dates around them, such as a swim date with a friend or a music class with the neighbors. A shared activity also fosters a stronger bond through shared experience. Kids with Asperger's Syndrome and other social challenges may not thrive at events with a lot of kids. Start small by inviting one or two kids over for an activity. Plan a few get togethers and see how they go, then adjust as necessary. Remember that your child doesn't have to go all in on camp or other overwhelming experiences to avoid loneliness -- sometimes just one loyal friend will help and it's certainly a good place to start. When you're starting at ground zero to meet friends, community events can often come to the rescue. Investigate reading hours at the local library or day camp events. Check out message boards or Facebook groups for other parents with kids who also face social issues to see which events have a positive history with accommodating kids who have social challenges. Being alone all summer is not good for kids, and it makes going back to school harder. Start creating a calendar of social opportunities at the beginning of summer to cultivate friendships early. Begin with one-hour meetings and go from there! Are Online Friendships Healthy for Kids with Socialization Issues?